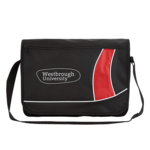 Promotional document bags are a great way to promote your organisation and get your brand and logo noticed amongst a wide audience. 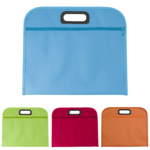 Document bags are highly functional promotional bags that and we supply an extensive range including small and large bags that can be used for conferences, exhibitions and seminars and everyday at work. The specification for each product is shown including colours, branding options and imprint areas. 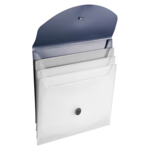 If you cannot find the document bags needed for your promotion, call us on 0800 158 3080. 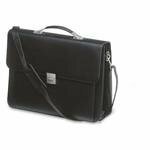 We can also supply custom bespoke document bags made to order. 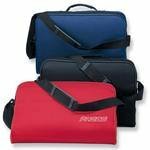 The term ‘promotional messenger bags’ is another that can be used when referring to document bags used for promotional purposes. 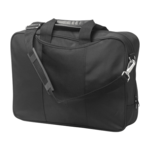 A messenger bag is in fact a large bag with a long strap, worn across the body. Other terms may include courier bag. 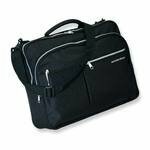 Messenger, courier and document bags have always been a favourite type of bag and have many uses. 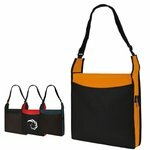 As well as being used to carry documents they can also be used a general bag for conferences, trade shows and seminars. 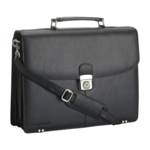 Within an office environment it is not uncommon to find branded messenger and document bags being used purely to carry items needed to work and especially these days when there is a widespread use of tablet computers. 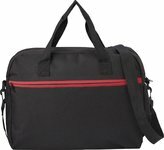 Some messenger bags are also suitable for cycling to work with as they include adjustable shoulder straps and quick release buckles. 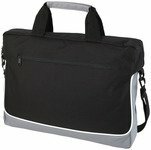 Messenger bags have become fashionable and can be found used by both men and women and especially those that need an easy to use bag for a commute to work. 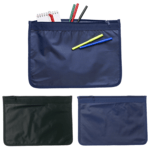 They are also used more and more by students who don’t want a bulky rucksack and want a simple, easy to access carry bag that can be used to ferry around study books and be used when out socially. 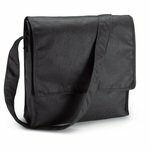 Most messenger and document bags will be made from polyester with leather and imitation leather (PU) models available. Canvas and cotton alternatives may also be possible offering an eco-friendly variation. 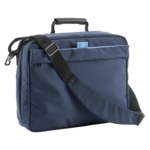 What’s important when choosing a messenger bag for a promotion is to make sure you get one with the right functionality, features and colour options. We have a wide range of document bags in this collection and can source further ones from our supply chain or look at a custom or bespoke manufacturing run if you cannot find the right bag style and type you need for your campaign. There is a definite shift in the UK away from single-use plastic carrier bags to more eco-friendly ‘bags for life’ and ones made from more natural materials including cotton, jute and canvas. Not only is this good for the environment but it is also opening up promotional marketing opportunities for marketers looking for a useful and reusable promotional product. Can you bundle other products in the bags? Yes, we provide a complete fulfillment service for clients and this means that we can supply document bags printed with your logo and then populated with a pen and paper pad or note book branded with your logo. You can then easily hand these out at your events as complete and branded bundle packs. 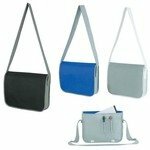 From what materials are the document bags made? Each bag will show the material the bag is made from. 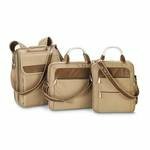 The available materials can include polyester, canvas, cotton, leather and imitation leather (also known as PU). What imprint methods are available? Each product lists in the options section the colours and imprint options available. The print application methods can include screen printing or transfers or embroidery.